We’re living in an increasingly mobile world. It wasn’t too long ago that business mobility was dominated by BlackBerry. In recent years, however, the number of mobile players in the market has grown rapidly. While BlackBerry once dominated corporate IT, we now see them struggle to compete with iOS and Android proliferation. The shake-up in the mobile market has created tremendous opportunities for development and growth. But is your business prepared to capitalize on these opportunities? 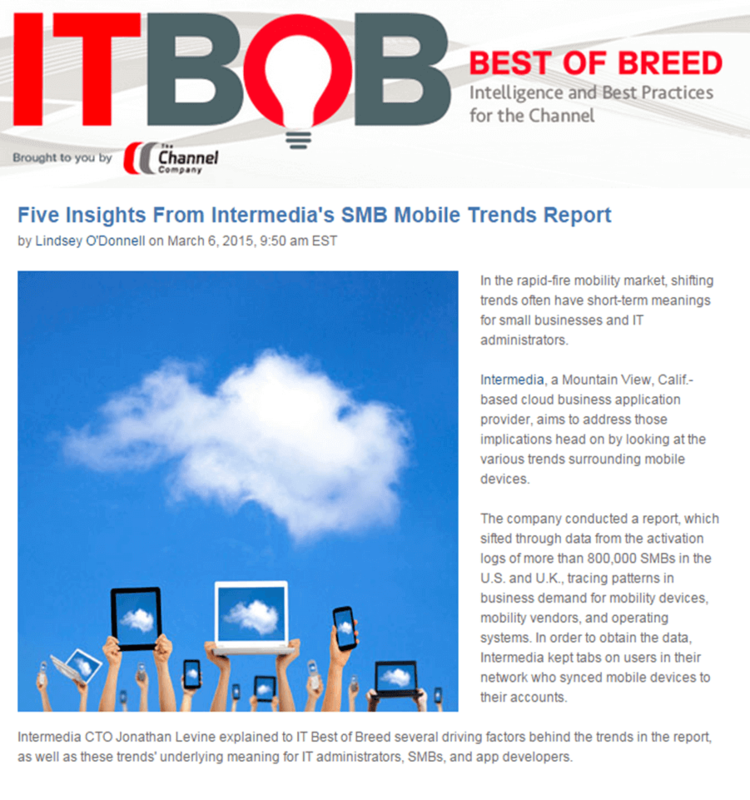 Here at Intermedia, we like to keep an eye on the mobile trends impacting today’s workforce. That’s why we published our 2015 SMB Mobile Trends Report – to help businesses prepare to take advantage of this evolving mobile landscape.